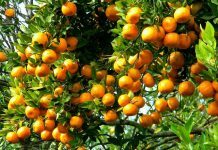 ISLAMABAD: The export of fruits and vegetables from the country during first quarter of the current financial year grew by 49.34 per cent and 19.17 per cent as compared the corresponding period of last year. 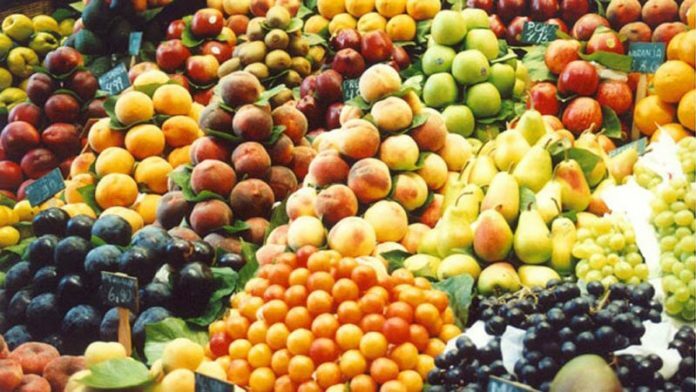 During the period from July-September 2018, about 130,747 metric tons of fruits, worth $101.664 million, were exported as compared to last year’s export of 83,073 metric tons, valuing $86.210 million, according the data of Pakistan Bureau of Statistics. Meanwhile, 132,546 metric tons of vegetables, worth $32.826 million, were exported as against the exports of 81,413 metric tons, valuing $27.546 million, during the same period last year. 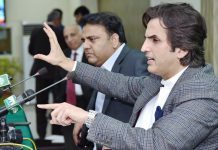 During the period under review, the food group exports form the country grew by 16.93 per cent as compared the exports of the corresponding period of last year. Food commodities worth $885.774 million were exported as against $740.448 million in the same period of last year. On a month-on-month basis, the exports of food group increased by 31.25 per cent in September 2018, as compared the same month of last year. The food commodities worth $297.231 million were exported in September as compared the $228.456 million in the same month of last year. In first quarter of current financial year, the country earned $46.772 million by exporting about 15,130 metric tons of meat and meat products, as against last year’s earnings of $44.719 million by exporting 12,226 metric tons. On the other hand, the first quarter of current financial year, food group imports into the country reduced by 10.31 per cent and reached at $1.454 billion as compared the imports of $1.621 billion in the same period of last year.